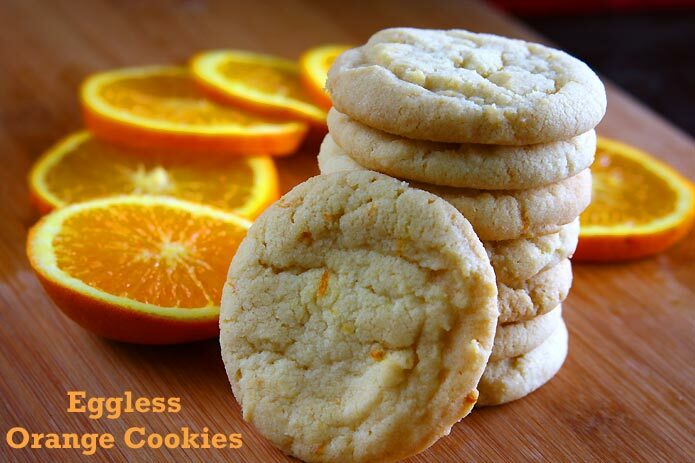 Orange Cookies: In my early days of baking I was not a fan of orange flavor in baked treats. For some reason, it didn’t appeal me at all. I don’t know when and how the transformation happened and I fell in love with anything orange flavor, be it cakes, cookies, muffins, anything, and everything! I especially love the orange flavored easy eggless vanilla cupcakes I bake quite often. Orange cookies I have never tried so when I saw a recipe for the same I was very eager to try it. 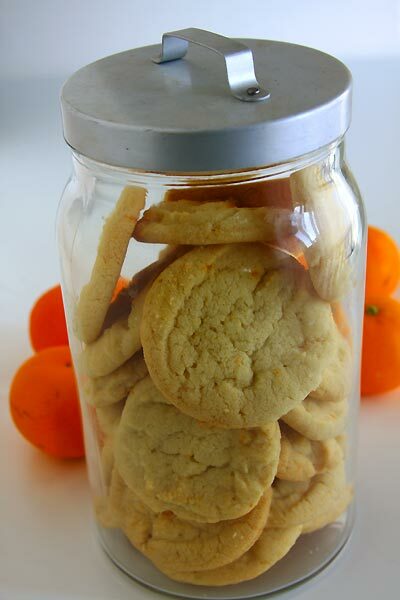 simple recipe for orange sugar cookie made from scratch using orange zest. I did want to incorporate some fresh orange juice too in the cookie but the recipe didn’t have room for it. Nevertheless, the cookies did have a very good citrus flavor and the scent just from the orange zest alone. 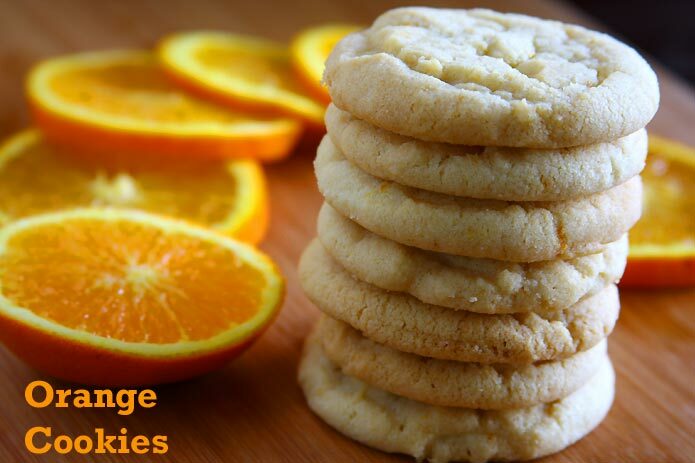 I’m thinking that you can make these orange cookies more fancy with some fresh orange juice and icing sugar glaze. Hopefully can get to it one of these days. But let me assure you that these orange sugar cookies tasted great even without any of those frills! The kitchen was filled with a pleasant orange scent which really lifted my mood. Check out here for more baking recipes with orange. I don’t know about you but I can’t get enough of it! Are you a citrus fan? 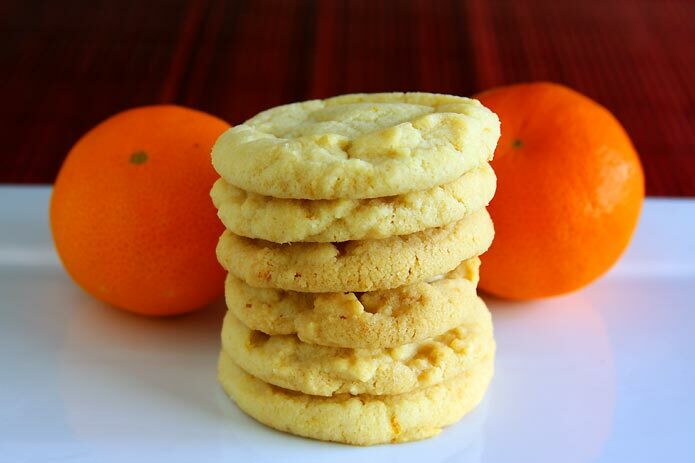 Have you baked orange cookies? 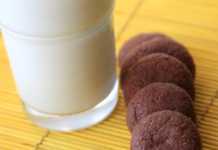 Then this recipe is a must try. A very simple recipe to bake yet big on flavor. Preheat oven at 350 degrees F or 180 degrees C for 15 minutes. Cream together the butter and sugar in a large bowl. Add in the orange peel and vanilla extract; beat well. In another bowl sift together the flour, baking soda and salt. Mix in the flour mix into the creamed butter mixture and stir it until well combined. 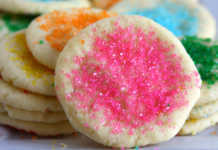 Scoop out tablespoonful of dough for each cookie, slightly flatten it and place it on the baking sheet 2 inches apart. Bake 10-12 minutes or until the edges are browned lightly. 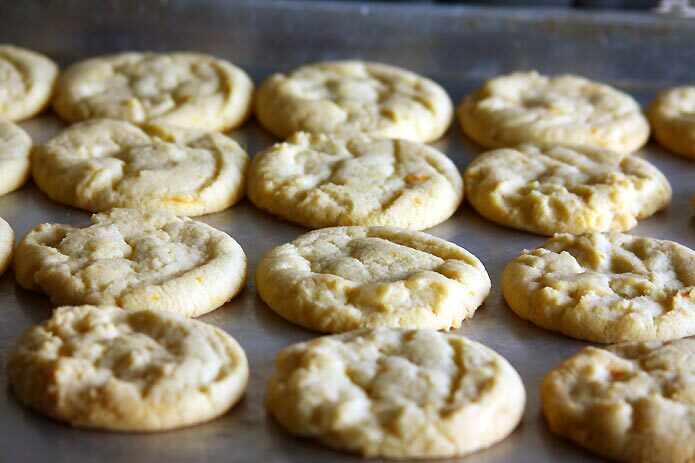 Remove it from the oven and let the cooks remain in the pan for another 2-3 minutes and then transfer the orange cookies from the pan to a wire rack to cool completely before storing it in a air tight container. Wow! That’s a lovely flavor combo, Andrew. And can I substitute part of the flour with oat flour or do you think it will not bake/taste as good? I’m guess coconut oil should work fine. Regarding substituting the flour with oat flour yes there will be a noticeable difference in taste and texture. I once baked gluten-free oat flour and brown rice flour chocolate chip cookies and we all loved it. I guess it’s a personal preference. You wouldn’t know unless you try it for yourself. I have made orange cookies today following your reciepe. I have given my twist.in stead of 2 cup refined flour i have segregated it 1 cup refined flour n 1 cup wheat flour. In addition to it i have added 1/4cup fresh orange juice n 1/2 cup oats to increase health quotient.